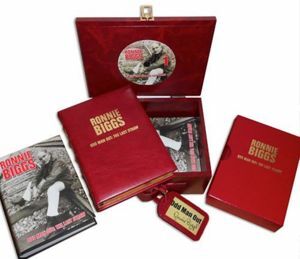 A collectors limited numbered 50 red leather bound editions of Ronnie's autobiography. 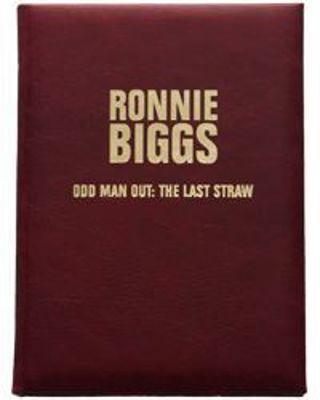 These consist of a leather bound copy of Odd Man Out: The Last Straw in a leather slip sleeve that contains a certificate of authenticity signed by Ronnie Biggs, Chris Pickard (who helped Ron write the book), and publisher Cliff Moulder of MPress. 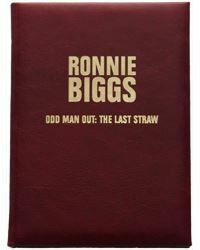 Odd Man Out: The Last Straw is Ronald Biggs' official autobiography. It covers Ron's entire life including the Great Train Robbery, his conviction and subsequent escape from HMP Wandsworth. Ron tells how he managed to outrun and outthink the posse of law enforcement officers and the media that chased him around the world as one of its most wanted men. From his time in Australia, to his discovery and arrest in Brazil in 1974, it is all included here. 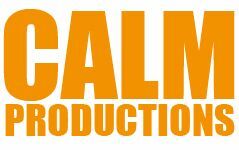 It covers the two attempts to kidnap him, and his son Mike's rise to stardom.